Take a hike! The beauty of Nova Scotia awaits! I think we live in one of the best places in the world for hiking. Ocean vistas, waterfalls, mountains, rivers and valleys. Whether on a railway bed, local urban path or at one of the many provincial or national parks, the choices are endless. Best of all you don’t need to be an experienced hiker to enjoy all that nature has provided. 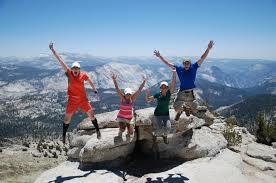 Hikes are frequently rated these days so you always have a choice, from easy to challenging. Hiking is a perfect activity to connect adults and children providing a unique opportunity to explore and discover together. Take Taylor Head for example, a gorgeous provincial park and one that I have wanted to visit for quite a few years now. This park and it’s trails are regarded by hiking author Michael Haynes as one of his favourites. I finally had the chance to explore this area. There are several trails to choose from and clearly colour coded with ratings. It was nice to know how long the hike would take so that you could plan out how much of it you wanted to do and they all end at the beach which was great! Definitely worth the effort to get there. Hiking is something that does not take a lot of equipment or financial investment. Some sensible walking shoes, water and snacks in a backpack and you are good to go. Even if you have never walked before it is something that you can easily work into. Start off with 10 or 15 minute walks and go from there. Something as simple as a walk in the park to begin. Take your time on a hike, stop frequently as many hikes have marked spots to take in the view. You never know what or who you may see. Your local recreation department can be a good place to start for maps of local trails. 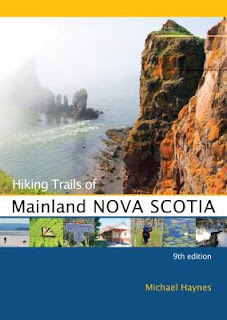 Check out Hike Nova Scotia http://www.hikenovascotia.ca/ and Nova Scotia Trails http://www.novascotiatrails.com/ for inspiration and information. These groups are always ready to encourage Nova Scotians to get out and discover our province. It’s good for the mind and the body and so easy - just put one foot in front of the other. The library has several books that can start you on the path of becoming a hiker. Check out these titles. Have fun! This year's Summer Reading Club comes to a close this week. 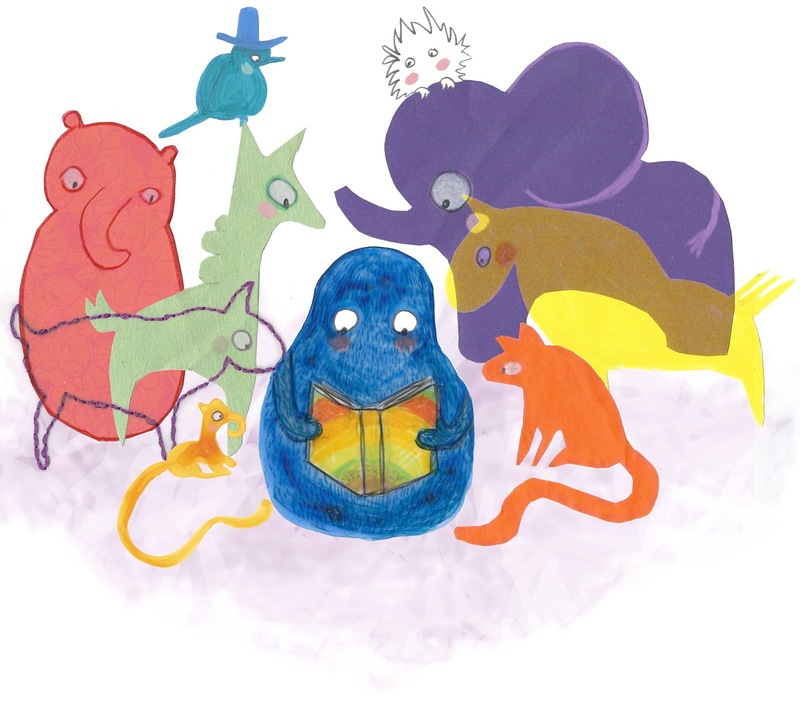 We had a busy summer full of programs, story times and special events. Ravel, our THREADS mascot has travelled all over Nova Scotia (and beyond), and ballots for prizes have been flooding in. Before we draw names and hand out the big prizes, we wanted to send out a big thank you to Lauren Soloy, the local artist/illustrator behind our THREADS mascots and other SRC related art. She was nice enough to take the time to answer a few of our questions and talk about her creative process and how much reading and books mean to her. 1. What was your process for the THREADS SRC art? What was your inspiration? The fist thing I did was brainstorm different ideas. I sketched up a few of them and brought them to a meeting with AVRL staff. 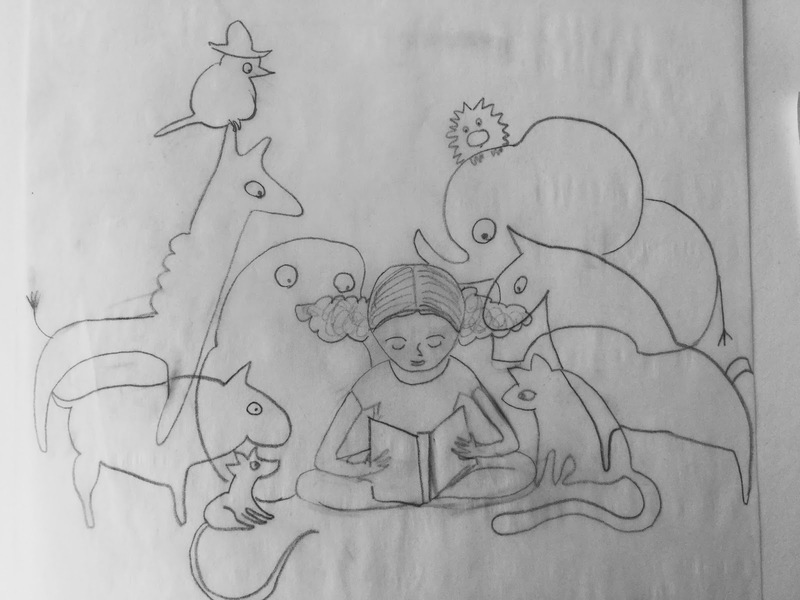 They liked the drawing I had done of a little girl surrounded by imaginary characters, but we decided to use one of the imaginary creatures - a blobby guy - as the central character, instead. 2. What are some of your favourite kid's books growing up and now? When I was a kid, I was a huge fan of Enid Blyton’s stories - especially the Wishing Chair series. I don’t remember having many picture books around the house, but I do remember the books that our school librarian read to us - things like Tikki Tikki Tembo, and The Day Jimmy’s Boa Ate the Wash. Nowadays I feel like Picture Books have really come into their own as an art form, and I have almost too many favourites to name! 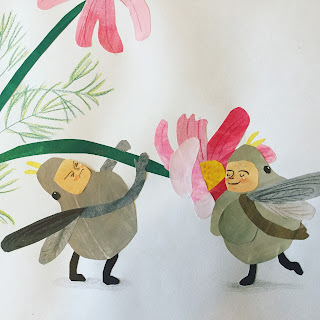 Oliver Jeffers, Jon Klassen, and Christian Robinson are some of the favourites around our house, though. 3. What are you working on now? I always have many things on the go! 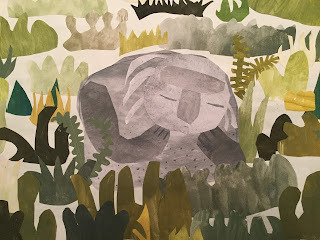 Right now I am writing and illustrating a graphic novel of Emily Carr’s life, based on her books - which are excellent reading, if you’ve never ready any of them! 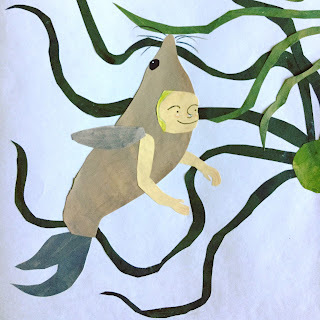 I’m also working on developing a picture book portfolio, with the hopes of one day becoming a published author/illustrator! 4. What are you reading? I’m currently reading “Emily Carr as I Knew Her,” by Carol Pearson. 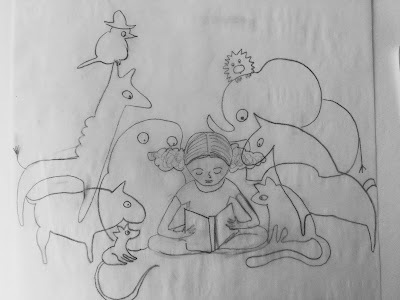 I only have a few pages left of that one, though, so next in line is a middle grade novel called, “Beyond the Laughing Sky” written by Michelle Cuevas with pictures by Julie Morstad. 5. 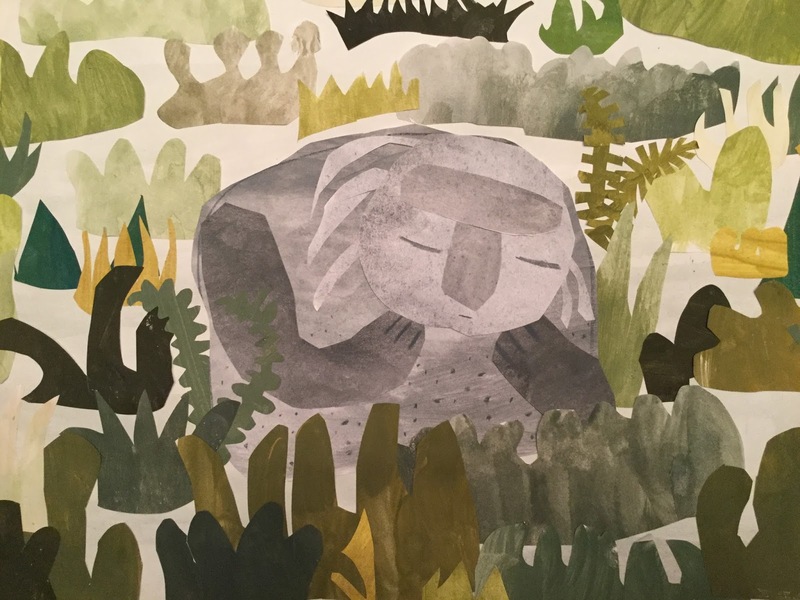 Where can we see more of your work? What else are you up to? I’m hoping to have a web-site up in the next couple of months, but in the meantime, you can find me on Instagram at LaurenSoloy! I post lots of work on there - mostly pictures of gnomes, at the moment! When I’m not drawing pictures, I am a photographer (www.laurenkayephotography.com), a Mom, a knitter, a gardener, and a beekeeper! This is an exciting year for the Bridgetown and Area Friends of the Library. 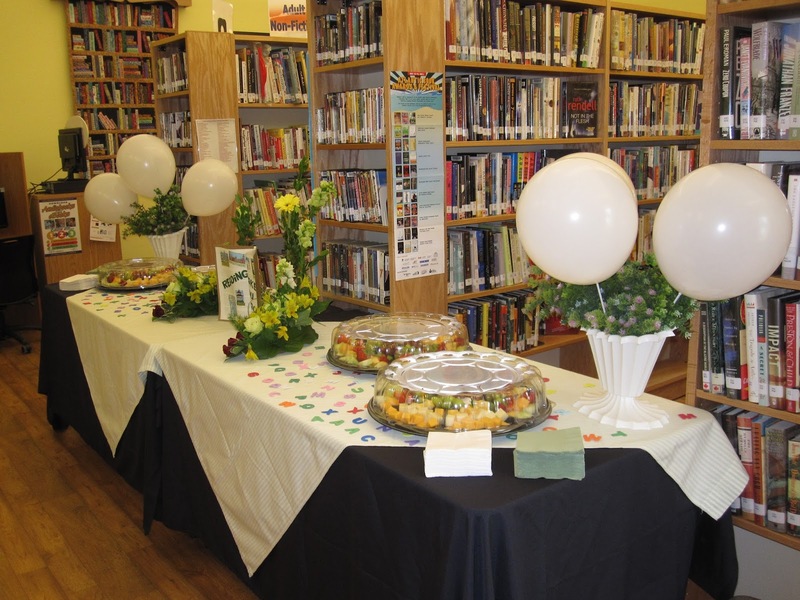 Not only are they celebrating the tenth year of their highly successful Silent Auction Fundraiser, they are now investing in an expansion of the Bridgetown and Area Library facility. The Friends of the Library was formed in 2002, its first mission being the relocation of the Library from the basement of Town Hall to its present location in the Revere Building on Queen Street. The town granted permission for the library to occupy more than half of the Queen Street building and, thanks to many generous donations from local residents and businesses, and a wonderful bequest from Joyce Devenney, the overhaul of the derelict building began. Bridgetown’s beautiful new library opened its doors in 2011. It has been a vibrant and crucial community hub ever since. In the spring of 2015, with the commercial part of the Revere Building becoming available, the Friends conceived the idea of expanding the library into the vacant space. Wholeheartedly endorsed by the Annapolis Valley Regional Library, the idea was approved verbally by Annapolis County in late fall 2015, and the plans were approved formally in July 2016. All that remains is for the renovations to begin. Plans are to open up the space to make a meeting room, and to move the children's area into the current meeting room. 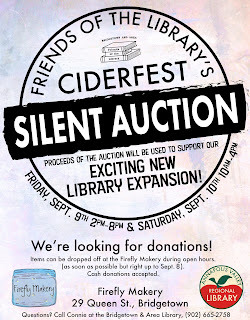 Any structural work requires money and, while proceeds from years of Silent Auctions will provide the funds for the initial renovations, the Friends of the Library also have a mandate to provide ongoing financial support for enhanced library programs, as well as various community causes. To that end they need your support. 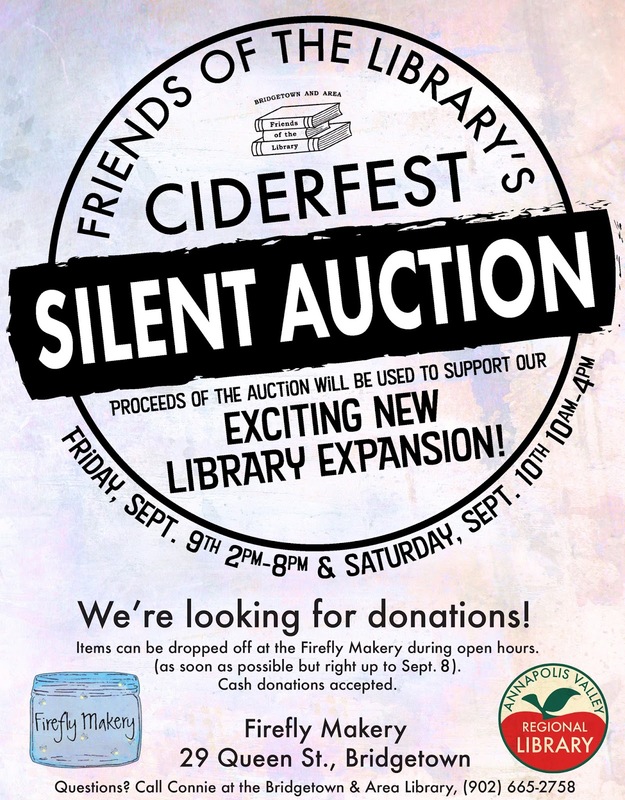 The Friends hope to make this year’s 10th anniversary Silent Auction, taking place as part of the Bridgetown Ciderfest festivities, a stellar occasion. You can help make that happen: donate items to the Silent Auction. 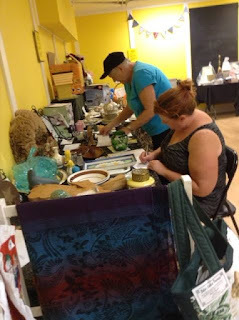 From now until September 8, drop off quality new or nearly new items, handcrafted items & art, gift certificates, and services to the Firefly Makery, 29 Queen Street, Bridgetown, Tues-Sat. 10 am to 4 pm. Attend and Bid at the Silent Auction: Bidding takes place Friday, September 9, from 2 pm to 8 pm and Saturday, September 10, from 10 am to 4 pm. Auction items will be posted on our Facebook page. A financial donation can be made and will be gratefully received, at any time. Donate ONLINE, or cheques can be made to Annapolis Valley Regional Library. You can print this form and mail it to: Bridgetown and Area Library, 38 Queen St., PO Box 39, Bridgetown NS B0S 1C0. A tax receipt will be issued for donations over $10. For further information, contact Connie Jodrey at the Library or by calling 902-665-2758. See you at the Auction! This is a guest post from the Bridgetown and Area Friends of the Library. Why is the Kentville Library closed? 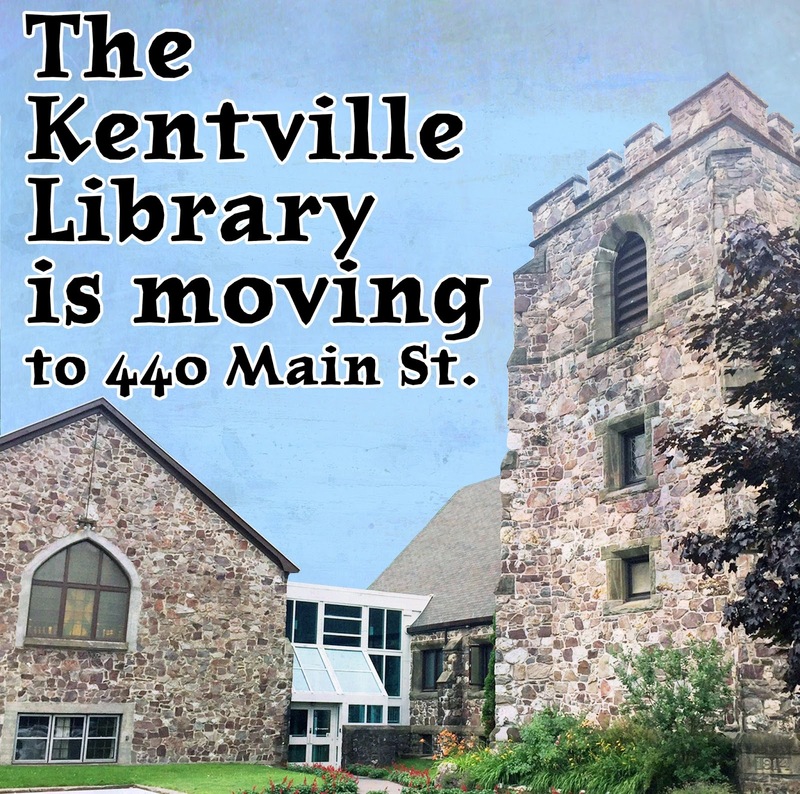 Kentville Library is moving! A long-anticipated move for the Kentville Library is now in the works. The last open day of the Kentville Library in the current location, 95 Cornwallis Street, was Saturday, August 6th. The library will be closed August 7th through to the 14th. In order to continue to serve the Kentville area, the Annapolis Valley Regional Library will operate a smaller, temporary library while renovations on the new space in the former United Church at 440 Main Street are being completed. Anticipated re-opening of the “Kentville Lite” Library in the lower level of 440 Main Street will be Monday, August 15th. There will be no overdue fines charged on items due during the closure period. The bookdrop will remain open at the current location this week. Items can be returned to the bookdrop or to any other AVRL location. The Mad Science: Fire & Ice program, scheduled for Tuesday, August 9, will be relocated to the Upper Recreation Centre at 354 Main Street, next to Town Hall. Participants in the Summer Reading Club will be able to pick up Fast Passes and other prizes on Tuesday, August 9, at the Recreation Centre from 11:30 AM until 4 PM, or at any AVRL location, including the Bookmobile. The library will be closed August 7-14. The book drop will be available for book return during this time at our current location, 95 Cornwallis Street. 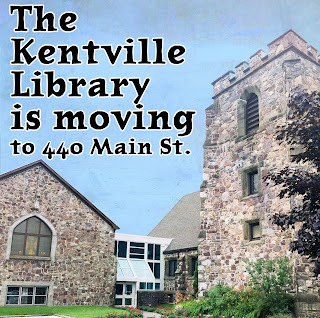 The temporary location, “Kentville Lite” will be in the lower level at 440 Main Street (former United church building), opening on August 15. No overdue fines will be charged during the closure period. The hours & phone number will remain the same at Kentville Lite. We will be operating with a smaller collection, however, you may also place a hold on any item in our AVRL collection to be picked up at this location. Public computers and WIFI will be available. We anticipate being in the temporary location for 2-3 months. Programming will be limited in the temporary location; updates on Fall programs to come. Summer Reading prizes may be picked up at any other AVRL location during the closed dates. Now , I will never ever profess to being handy with tools, but apparently over the years I have learned something. My first thoughts were to have someone build me a coop. I scoured through books from the library, checked out Pinterest and Google for the ideal hen house plans. Then I decided I would buy one and spent oodles of time on Kijiji and Facebook yard sale sites. Even when I was driving I kept an eye out for suitable chicken accommodations for sale. With all this searching I kept coming back to some plans found in the books I had checked out from the library. ﻿﻿ I knew I wanted a raised coop with the run extending under the house so the hens could have some shelter from the elements and still stay outside. The run had to covered and the wire buried a foot to keep predators out. There was lots of evidence of attempted break ins the first few weeks of residence. After spending the Winter and early Spring searching, I decided to build one myself. ﻿﻿ I started with the plans I really liked, from the book and proceeded to make significant design changes. OK, yes, a buddy did help framing up the house, and my brother did help with the run, but closing in the coop and run and building the doors, window and gangplank was all me!! Hardware cloth (it is sturdier than chicken wire) was my choice for the run. The cloth covers the top of the run to prevent aerial attacks and is buried about a foot to deter subterranean excursions. The floor is plywood. The walls and roof are OSB, because, after all it is a chicken coop, with asphalt shingles on the roof and wooden shakes to go on the walls and a couple of vents for air flow. The coop needs to be airy for the Summer and draft free for Winter habitation. Inside are two roosts and three nest boxes. The actual house measures 8 by 6 feet. Plenty of room for seven hens at 4 to 5 square feet per lady. All said and done it cost me about three hundred buck, buck, bacaaaahs!!! (in chicken lingo), for the materials. Labour was free. Thanks guys! A lot less than buying one or paying a real carpenter (no slight intended guys!). I think it 's pretty nifty and should serve the girls and their successors well for years to come. AND MARGUERITE ARE PROUD TOO!! And all from looking at a book on raising chickens from the library!! The Annapolis Valley Regional Library provides access to the world of educational, recreational, and information resources in a variety of formats and technologies.